Slay! That’s the word on the gold chain hanging around the neck of fierce salon owner/money launderer Desna Simms (Niecy Nash) as she paces the Nail Artisans shop on the Claws set in New Orleans (doubling for Manatee County, Florida). It’s also a fitting description for the hot TNT dramedy. Produced by Rashida Jones and Will McCormack, Claws defied expectations when it premiered last June by being equal parts outrageous comedy (the show’s fantasy sequences are over-the-top fun) and life-or-death drama (given the Mafia’s piece of the action, murders are commonplace). 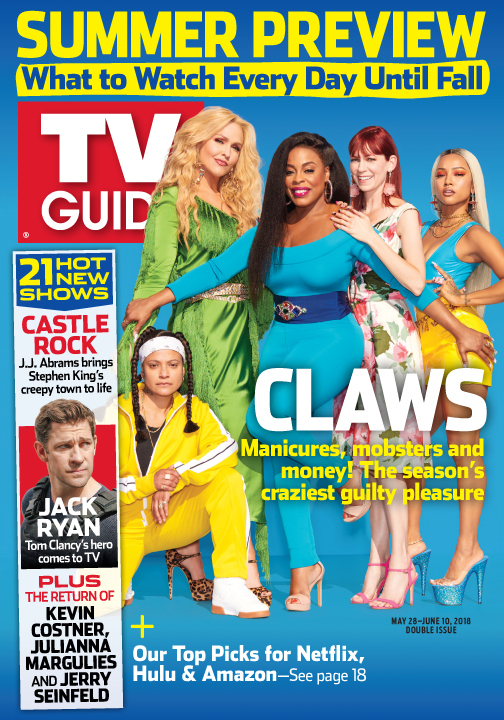 Claws also fell in line with TNT’s successful string of edgy, female-driven fare (including Ellen Barkin’s Animal Kingdom and Michelle Dockery’s Good Behavior) and the first season, um, nailed it by averaging 5.4 million viewers per episode across multiple platforms. Those women? Frustrated Desna, stuck under the thumb of the Russian mob (more on them later), who leans on her workplace family, made up of con artist Polly (Carrie Preston), recovering alcoholic Jennifer (Jenn Lyon), steely Quiet Ann (Judy Reyes) and wild child Virginia (Karrueche Tran). 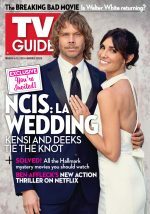 The ladies took a break from filming to chat about the new episodes, running in high heels and what real-life nail artists are saying about the show. 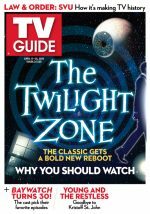 Summer Preview: Scoop on the hottest new and returning series: techy Reverie; Kevin Costner vehicle Yellowstone; Julianna Margulies in Dietland; ’80s-set Pose; Jerry Seinfeld’s Comedians in Cars Getting Coffee; Stephen King-inspired Castle Rock; John Krasinski headlines as Tom Clancy’s Jack Ryan and more. New Season Sneak Peek: Magnum P.I., the revival of Last Man Standing and more to look forward to this fall. Also, a list of the shows that got axed. 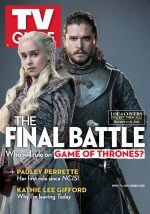 Plus: A summer premiere calendar, Ellie Kemper talks Unbreakable Kimmy Schmidt and the possible The Office reboot, ABC’s Sunday night game shows, the 72nd annual Tonys and the best of movies, streaming, sports and more.